Following a trend already present in countries like France and Italy in previous centuries, from the seventeenth century social figures related to clothing (tailors, weavers, vendors of clothes) are gaining more economic (and hence political) power. Due also to the flourishing trade with the colonies, laces, silks, damasks, precious velvets, stockings, caps, brocade fabrics - whose production increases accompanied by the economic and technological growth - appear on the clothing market. The courts of France and Spain reach and surpass the Italian in splendor: Pompous clothing becomes the visible signal of the wealth and power of the nobles. In the middle and upper classes clothes increasingly lose their practical function, often becoming pure ornaments. 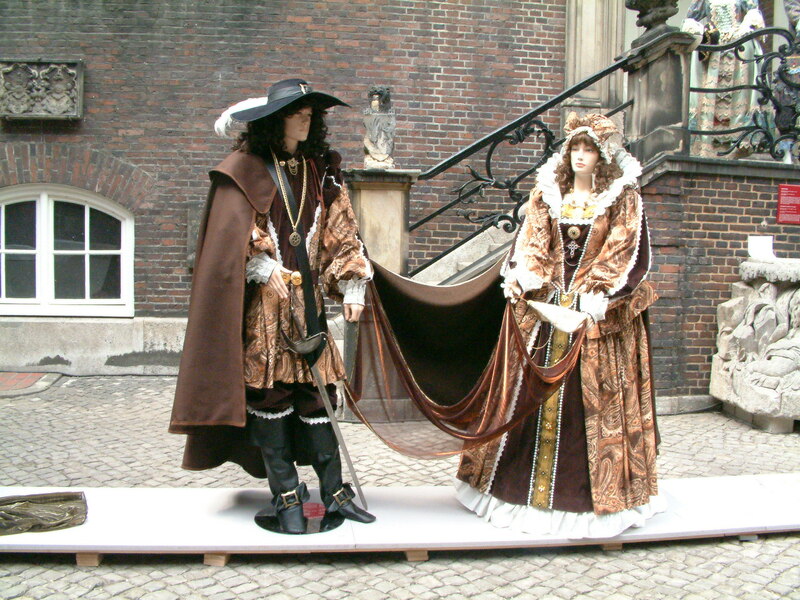 Courts set the example of the evolution of apparel: not only the princes, but also poets, chamberlains, ladies and guards are equipped with very precious uniforms, variously colored and ,made of expensive fabrics.